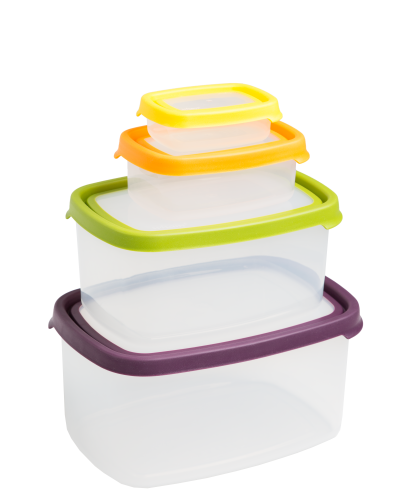 Airtight food storage box with easy open/close lid. Freezer, microwave and dishwasher safe (top rack of dishwasher). BPA free. Space saving as will nest inside each other when not in use. Set of 5 Rect consists of: 3.8L, 2.1L, 1.1L, 440ml and 115ml.